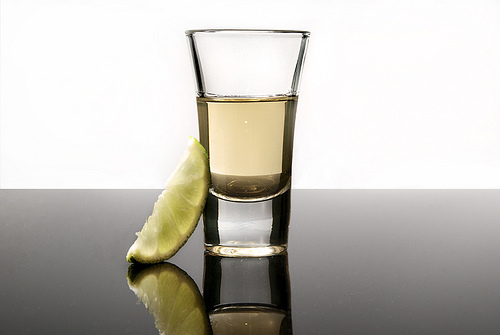 It had been some 22 years since I had a shot of tequila - that is, until today. When the Breakfast'la Club ran out of Peach Mimosas, and Irish Cream coffee became too sweet, a smooth bottle of good tequila made its way to the kitchen and somehow into my glass. I had a "double shot" that was broken down into three shots (what can I say - I am not a hard liquor drinker). Much sweeter than the tequila was the laid-back atmosphere, the delicious and incredible spread of food, the fresh cool air, and the sounds of children playing and adults laughing. The afternoon ended with a screening of 2011 with the Roash family via DVD, and not to sound too sentimental, but it make me pretty sad to think that some day they may be sending us one of those DVDs because they will be living far, far away. As an adult, it is hard to find and make close relationships that have the kind of dedication and acceptance that old, old friendships have. As I have witnessed in the past three or so years, sometimes close friendships disappear because they are not as deep or supportive as one originally thought they were. Finding solid friends like the Roashes is a gift and a blessing. So, even though I support the dream - their dream - it is not without the potential for heartbreak to occur. It doesn't matter what way one spins it, physical distance does diminish intimacy in friendships despite contrary desires. Today we joked or dreamed that we would travel to CA to have a Breakfast'la once a year. From our mouths to G-d's ear! Speaking of the Breakfast'la Club, I really love the sheer number of children that we collectively have bore, and that they enjoy each other's company, and that there is usually very little drama for the sheer number of them running around! Their smiles are infectious and it is a joy to know that they are growing up together. Lastly, when I implement this new FOK whole food plant based system of eating, I don't know what I will do about eating at Breakfast'la Club. Will breaking it once a month be a big deal? Is there way to reasonably pick and choose what to eat? My goals with this are to lose 10 to 15 pounds (not because I think I am fat, but because the doc says that will help stabilize my blood sugar), reverse my pre-diabetic state, and to improve my chances at NOT getting cancer or heart disease, both of which run in my family.